The Censor Board of Film Certification has been in the news recently for the irrational cuts they have suggested to film makers. They believed these cuts were necessary as the content was inappropriate for Indian audiences. Headed by Pahlaj Nihalani, the censor board is at it again and this time for a reason which is sure to shock you. The teaser of Girish Kumar's upcoming film Loveshhuda was supposed to be attached to the prints of Ranbir Kapoor- Deepika Padukone's Tamasha. However, the censor board did not clear the teaser with a U/A certificate; rather they rated it 'A' as the word 'bed' irked them. The censor board was of the opinion that the tagline of the film 'A Love Story that starts in the Bed' was not suitable for family audiences and the same has lead to a change in the marketing plans of the film producers. As per censor rules, a teaser/trailer rated 'A' by the censor board can be attached only to the prints of adult films. 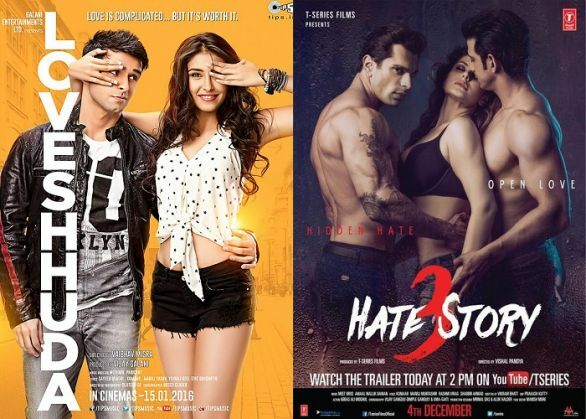 As against the original plan to release the teaser on 27 November, the same will now be attached with Hate Story 3 on 4 December. Producer of the film, Vijay Galani confirmed the news. "We were to come out with the teaser alongside Tamasha, but due to A certificate, it is now being attached with Hate Story-3."